Everyone is hopping on the Airbnb bandwagon these days. And why shouldn’t they? The room and house rental website has completely revolutionized the travel industry and put hotels on notice that they need to step up to their competition. But even though Airbnb can be completely wonderful, it can also be confusing for first-timers. Just yesterday I was talking to a neighbor who was so excited about getting started and renting out her apartment. She was pretty sure all she had to do was download the app and like magic someone would come to her place and give her money while she went out of town. It is simple, but it isn’t that simple. Here are a few things you need to know before you get started. 1. You might be breaking the law. Cities like New York and San Francisco have really cracked down on people renting out their places on Airbnb. Not only are they cracking down, but they are enforcing fines, and those fines can run up to $10,000. Make sure to check out your local laws and check in with your landlord before you even create a profile page. What does this mean? Hosts are protected up to $1,000,000 with an Airbnb Host Guarantee. You can learn about the details here, but essentially it means you are protected from major property damage when a guest stays in your home. 3. There are some things that aren’t protected. 4. You should have homeowners or renters insurance. You should have this anyway, but particularly if you are renting your house out to strangers on the Internet. There are plenty of situations in which your own insurance will give you coverage that Airbnb cannot. 5. Take a lot of photos. The more photos you have (particularly ones verified by Airbnb) the more queries you will get for your space. Make sure the pictures are clear and well-lit and show off the distinct personality of your property. What does the view look like out your window? What does your kitchen look like? Information is king for both hosts and guests. Give potential guests as much visual information as you can right from the start. Most people have no idea what to ask for their place. Do your research. See what other people are asking for in your neighborhood, and don’t be afraid to price your place competitively. Once you set the price, let it be a process of trial and error. You can always shift it up and down based on the demand. 7. Give your guests some perks. You aren’t a hotel, but you are a host. If you are staying in your property, ask your guests to have breakfast or a meal with you. If you aren’t, leave some snacks and a nice note. You can also leave a map of the area or a list of your favorite local spots. I like it when someone leaves me a metro card for the local transit system. I can never figure out how to put money on a new city’s metro card machine. Some hosts even leave chocolates on the pillows. A little bit goes a long way when someone is traveling, and it will show in their reviews. 1. Not all hosts are real humans. 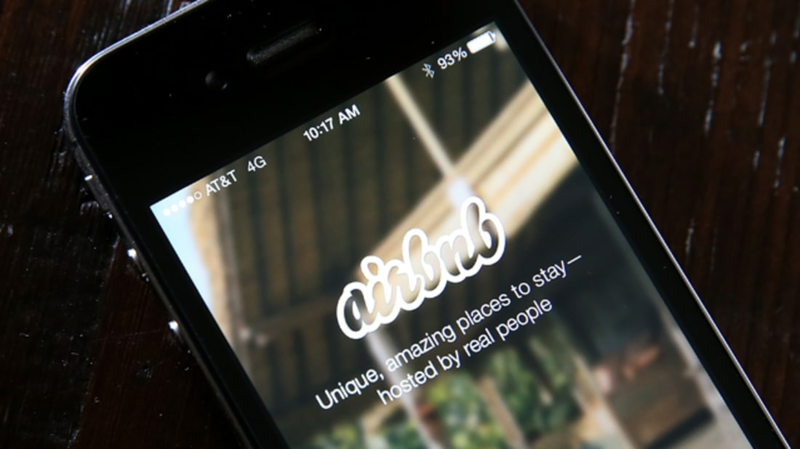 Airbnb does a great job of weeding out phishing scams and brokers, but they still exist. Make sure to read the reviews of your hosts carefully before booking. Many times if a property seems too good to be true, it is. 2. Read the star ratings, not just the words. Many guests don’t want to be outright rude about a host. The words they use in their reviews will be kind, but they will rank them low in star ratings. Check both the ratings and the reviews, and draw your own conclusion. 3. Do your own neighborhood research. Do not always trust a host to accurately describe the neighborhood or the distance to popular landmarks and attractions you may want to visit. Research the neighborhood yourself. Ask friends about it. Check it out on social media. Arm yourself with as much knowledge as you can before you go, lest you find yourself 30 minutes from the center of town with no rental car. 4. Ask all of your questions. This is a platform created to let guests and hosts get to know one another before they make a transaction. Take advantage of that. Ask a host all your questions, and don’t be afraid to ask about the nitty-gritty of your stay. What are the neighbors like? Are there noise restrictions? Clean linens? Can you use the washing machine? 5. Pick an experienced host for your first stay. There is nothing worse than two newbies bumbling through the process together. Choose someone who has been a host multiple times so they can gently show you the ropes of being a guest. 6. Tell your host you are new to the site. This way they will understand if you are confused or have more questions than usual. 7. Never leave the Airbnb site. I repeat: Never leave the Airbnb site. When you conduct a transaction through Airbnb, you do get charged fees. But these fees protect you from scams. If a host asks you to complete a transaction in cash or to email payment information, walk away immediately and report the host to Airbnb. The platform exists for a reason, and you are much more protected if you stay on it.